Paxahau is pleased to announce a special lineup preview for the 2019 Movement Music Festival, taking place on Memorial Day weekend, May 25-27 inside Detroit’s legendary Hart Plaza. The lineup teaser features UK dance music pioneers Orbital for their first live appearance in Detroit in almost 20 years. This also marks the duo’s first-ever performance at Movement. Orbital have laid the groundwork for today’s live shows by performing such anthems as “Halcyon”, “Belfast” and “Chime” on a cadre of studio gear in epic fashion. There is no better platform to expose a new generation of electronic music fans to the historical relevance of this incredible act than at Movement. 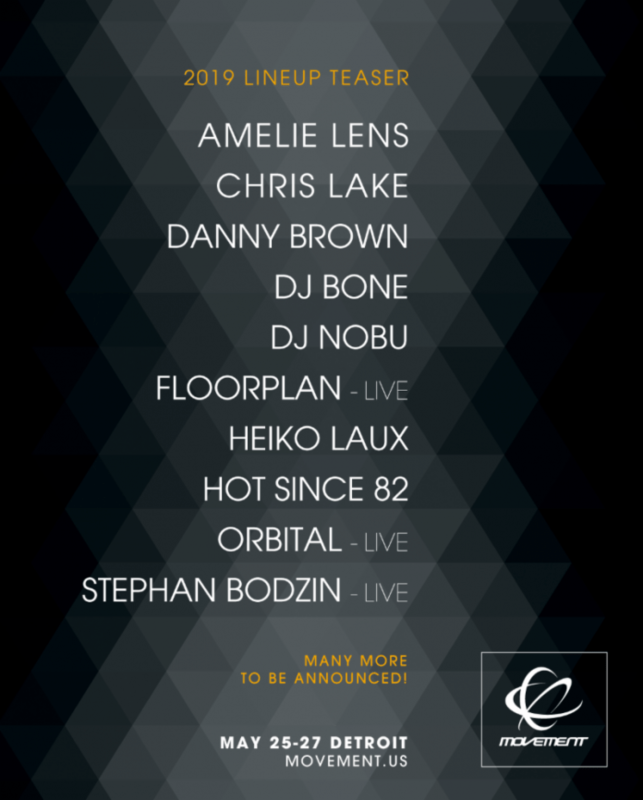 Today’s lineup reveal also features Detroit’s very own Danny Brown, DJ Bone as well as Detroit Techno legend Robert Hood performing as Floorplan – live. British House sensation Hot Since 82 will also take the stage. Other notable first-time Movement performances include: Amelie Lens, Chris Lake, DJ Nobu, Heiko Laux and Stephan Bodzin – live. More names will be announced in early 2019 on Movement’s official website and social media channels.